Ewan Hoozami: Skanking new Blend Mishkin ish! I must admit despite the Pogues and Riverdance I never really thought of Ireland as much of a powerhouse musical nation. I know they've got a passionate history of fiddles and jigs, but it's not really my bag. The only time i went to Dublin the streets were crawling with day-glo Irish gurners who had apparently been to see some house DJ called Fergie. So I guess somewhere along the way my perception of Irish music got tainted. (I don't think U2 and The Corrs helped much either). Anyway turns out I don't have a clue! 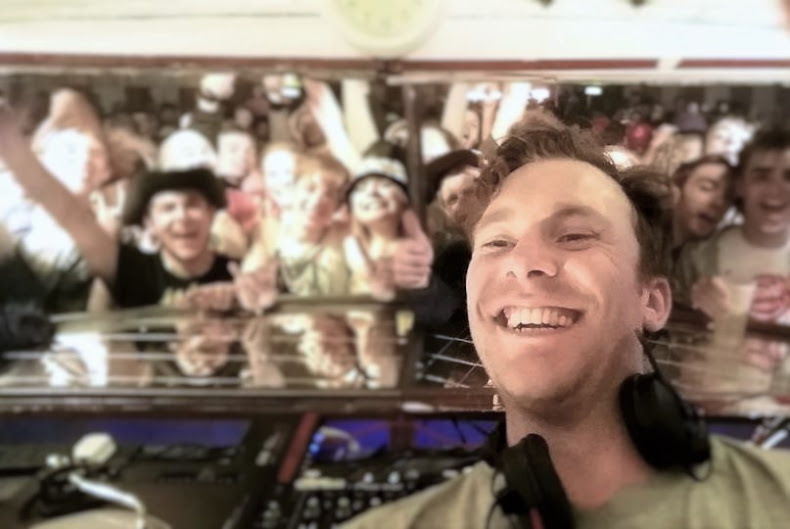 Recent output from Dirty Dubsters, Johhny Pluse and their labelmates have been nothing short of world-class funk, reggae, swing and even DnB - and I can't remember the last time I played a set that didn't feature at least one of their tracks. So, when I received the press release for a new label called Irish Moss, featuring a remix by Dirty Dubsters, I was understandably intrigued. Irish Moss 001 actually features the prolific Greek producer Blend Mishkin, whose sterling work with Parov Stelar, plus dope remixes for Dirty Dubsters and many more has already earnt him plenty of plaudits from the international party beats community. The B-side consists of remixes by Liondub and, again, Dirty Dubsters (do they not sleep? ), and are equally dope. Released on Juno Download on Feb 23rd, go grab it!